Kendrick Lamar, DJ KHALED FEAT. DRAKE, August Alsina, Rocko feat. Future, Ty Dolla Sign feat. Wiz Khalifa and more. 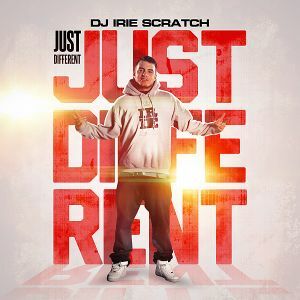 JUST DIFFERENT. The only way to describe DJ Irie Scratch, his shows and music. Growing up with the hip-hop music and culture, influenced by many other genres like reggae, dancehall and trap, DJ Irie Scratch delivers an energetic and multi-dimensional show each and every night. If you haven&apos;t experienced it yet, just ask your girlfriend or your neighbor. This new mixtape series is for everyone who wants to turn up and wild out while at home, at the friends&apos; crib or driving the car to work. Made of 50 certfied club bangers, perfectly blended in a 75 minutes long mix, this first JUST DIFFERENT mixtape is exactly what you need if you like the urban sounds of the new-school hip-hop, trap or rnb. Pour yourself a drink, light up your blunt, click the play button and TURN UP!